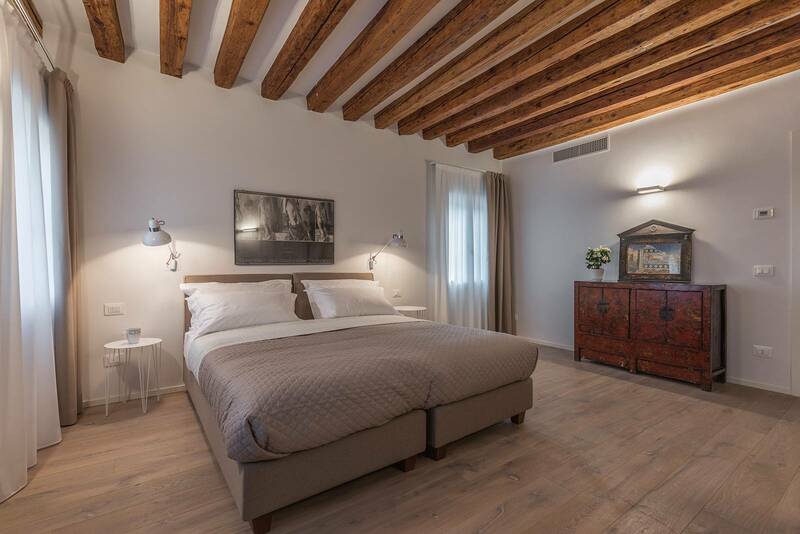 Security Deposit of € 800: to be paid by credit card at check-in. 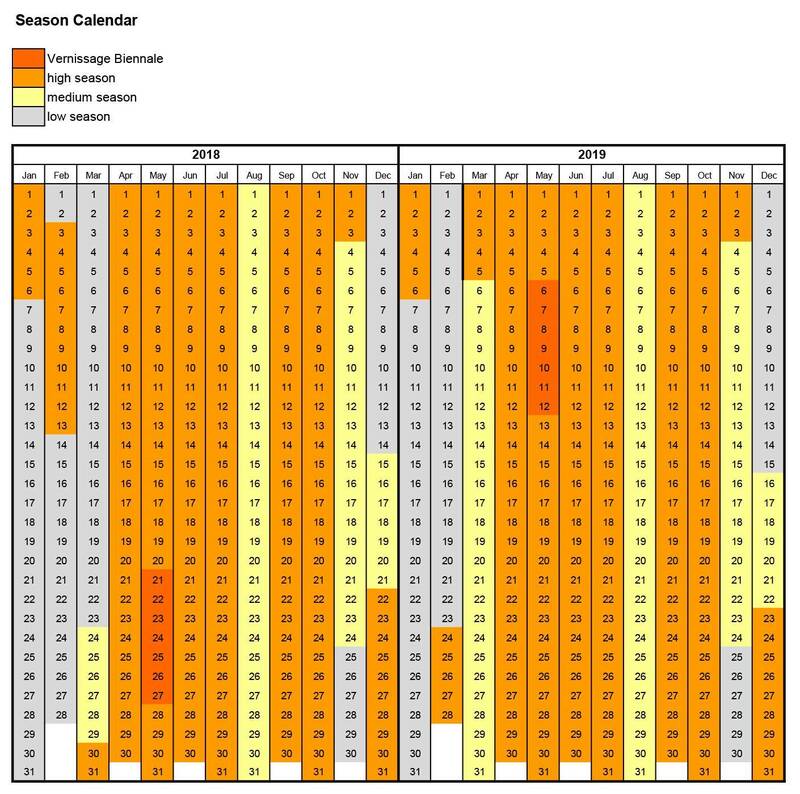 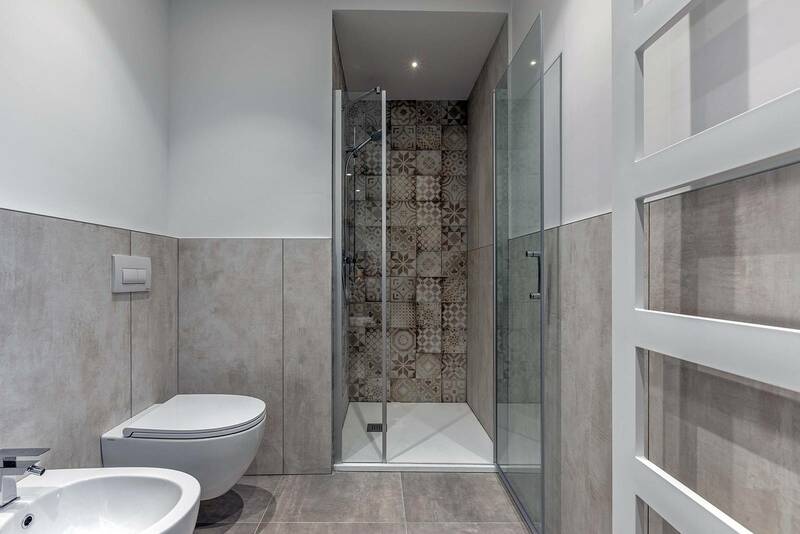 A forfeit of 20 euro of utilities per day is included, the cost in excess will be charged extra. 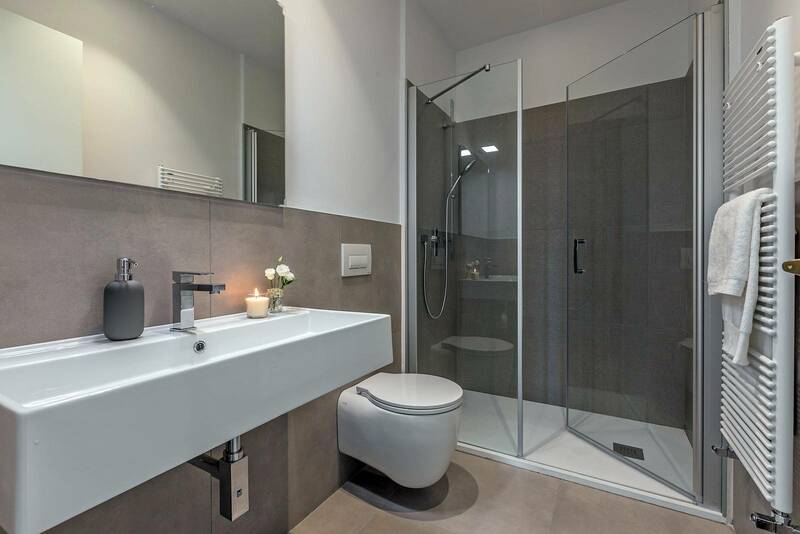 Within these limits a comfortable stay both in summer and in winter when air conditioning or heating is turned on can be guaranteed. 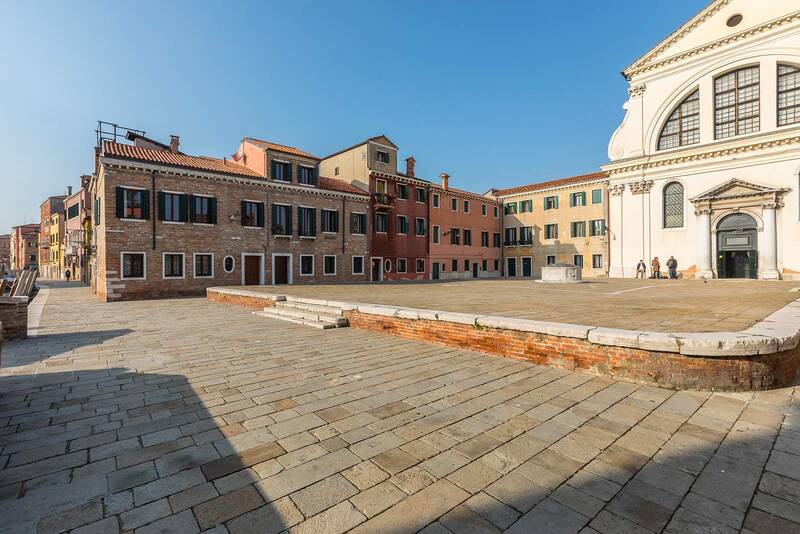 The area is rich in cultural attractions such as Basilica della Salute, Punta della Dogana, Accademia Galleries, Ca' Rezzonico Museum, Peggy Guggenheim Collection, Cà Foscari University and much more. Literally at the doorsteps there are also many affordable bars and restaurants serving Venetian specialties for locals and students, beside myriads of nice art galleries and local artisan shops...you really can't be bored! 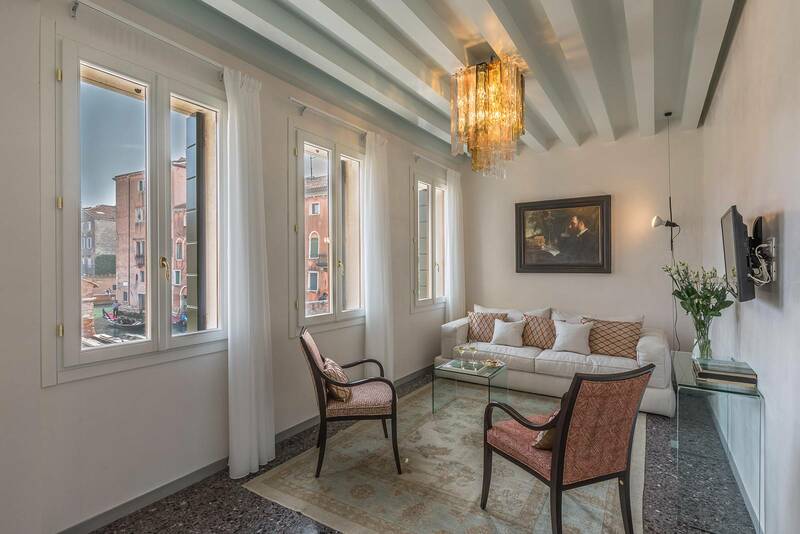 The San Trovaso is a Venetian Palazzetto (literally small Palazzo) composed of only two units: San Trovaso Prestige and San Trovaso Terrace apartments, that can host 12 guests in 6 bedrooms and 6 bathrooms, while it can be rented by maximum 13 people using also the pull-out bed: a unique property, perfect for family reunions or groups of friends who seek privacy and total comfort in a stylish environment. 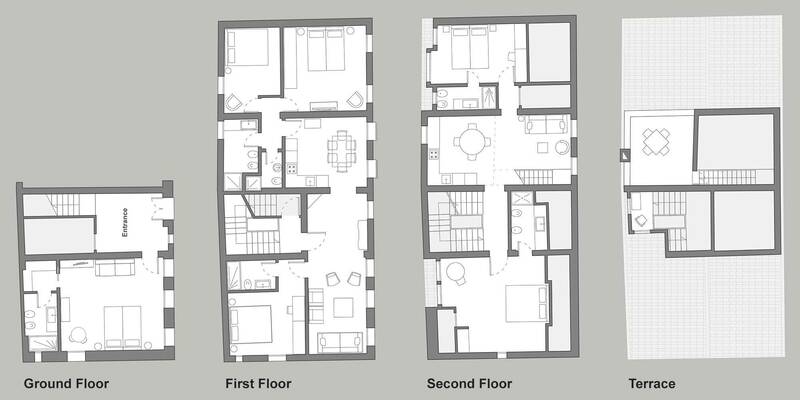 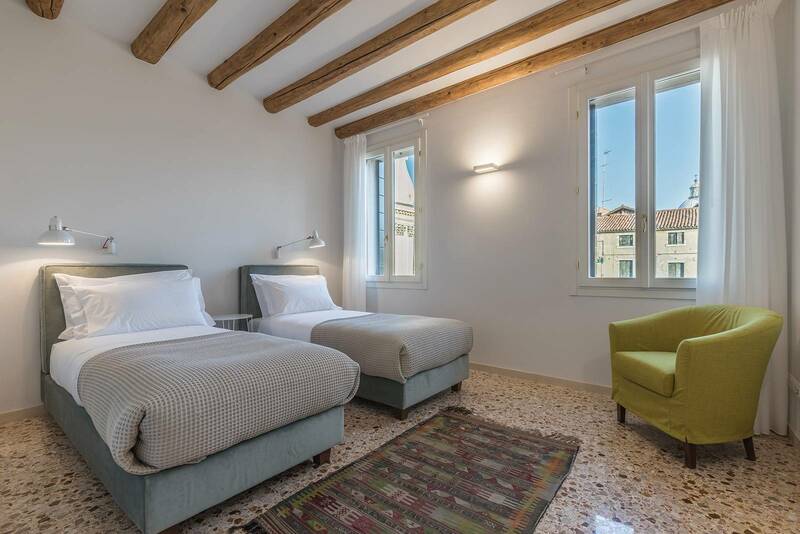 - the main floor is the 1st: it is composed of a living room with double pull-out bed and plenty of windows overlooking square, church and canal; in the dining room there is an extensible table for up to 10 people, a brand-new and well-equipped kitchen; there are also three double bedrooms and three full bathrooms. 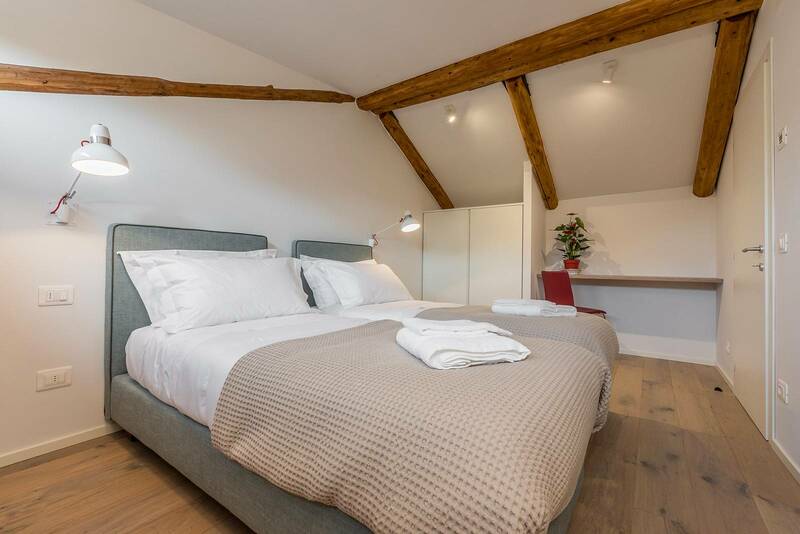 The main bedroom with king size mattress and en-suite bathroom features a stunning canal view, the second bedroom with 2 single beds that can be also used as double is the most spacious and offers a stunning view on the square and church, the third bedroom is a little smaller, faces private gardens and has a queen size bed. 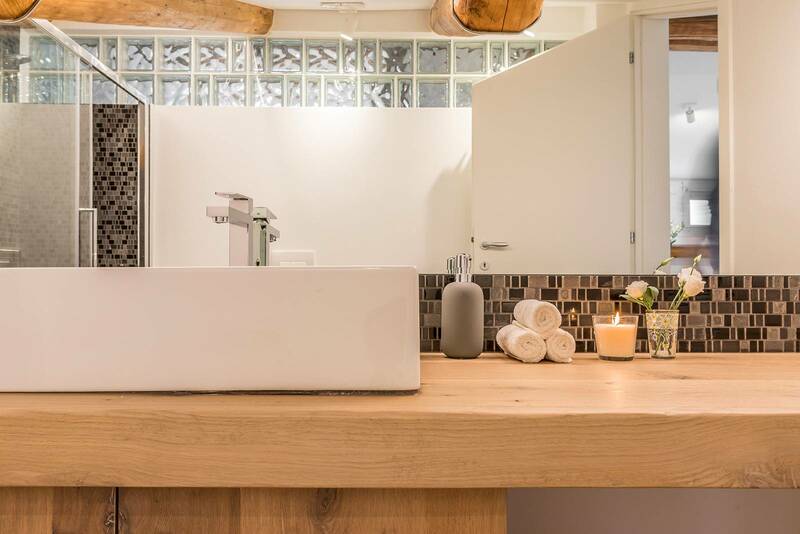 These two are served by other two very nice bathrooms located just outside the bedrooms. 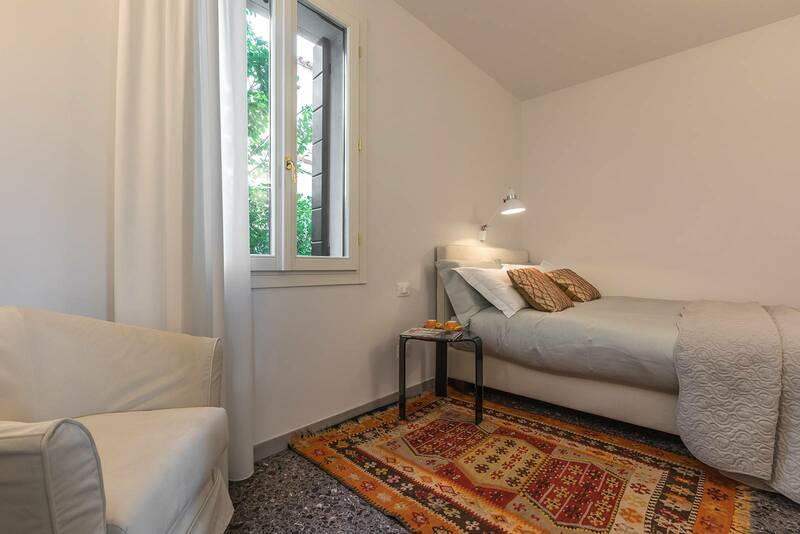 - the ground floor is a dependence: beside the large shared entrance room that give access to the laundry room, at the ground floor there is a very spacious bedroom with en-suite bathroom furnished with two single beds that can be also used as double. 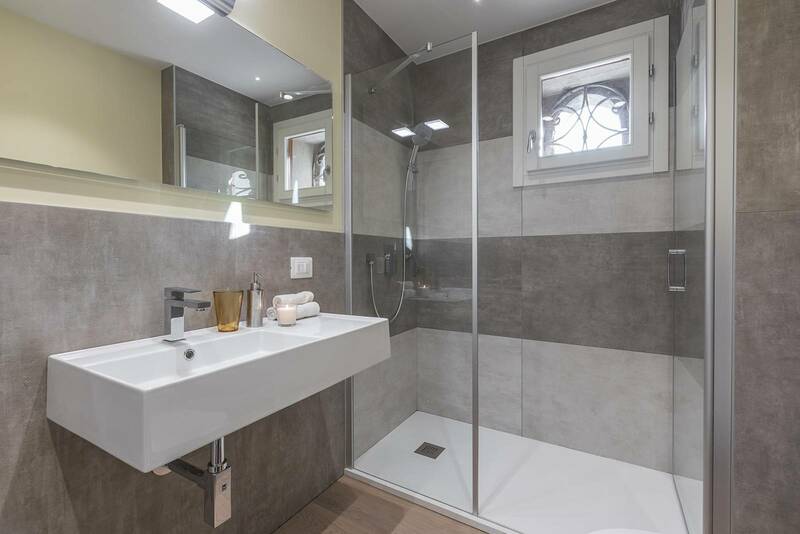 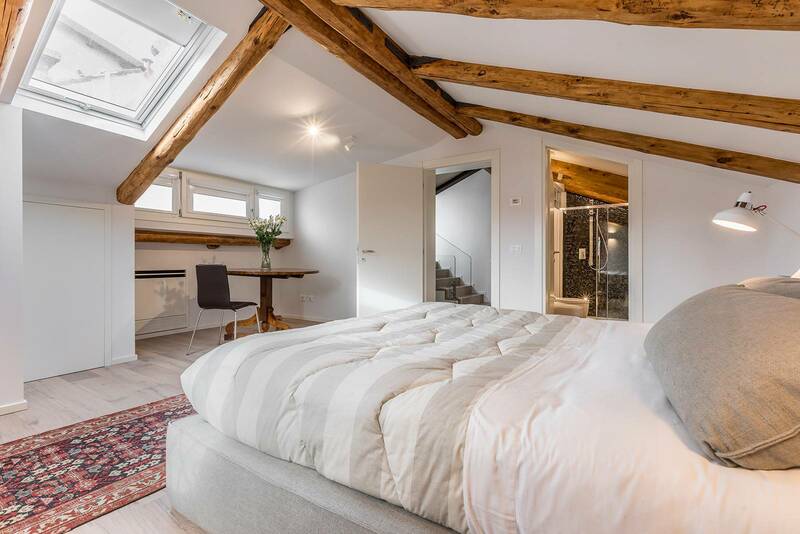 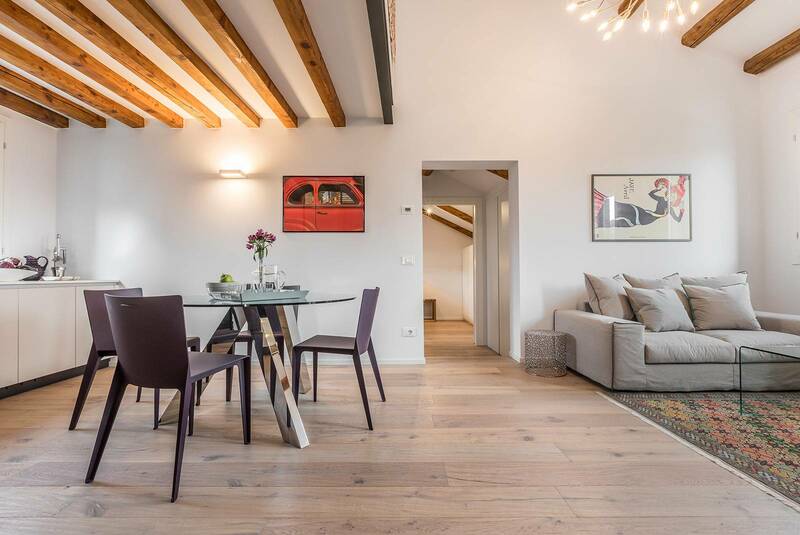 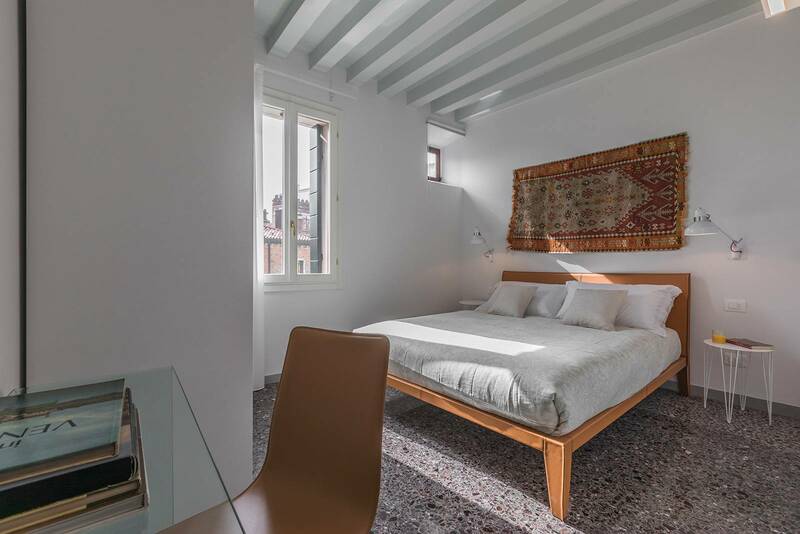 - at the second floor there is the attic: it is composed of entrance room, living room with foldable single bed, dining room with kitchen, two double bedrooms, two bathrooms and terrace. 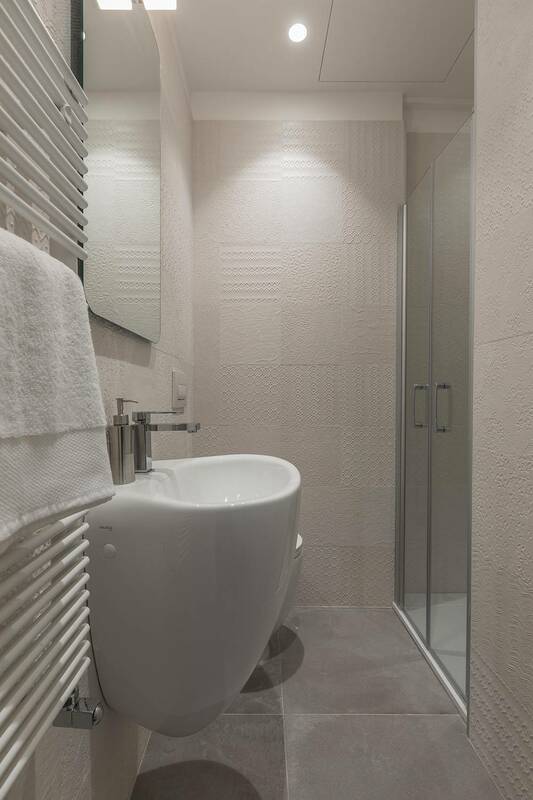 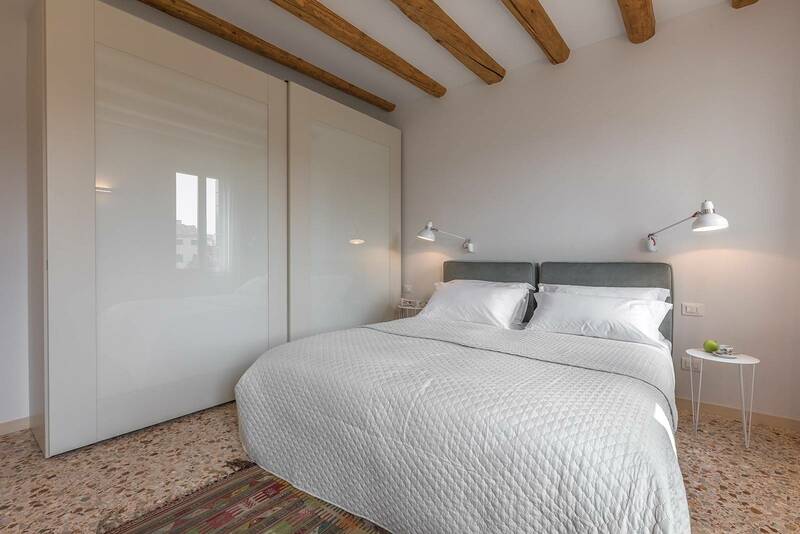 The largest bedroom is truly charming and spacious: it has a king size bed and a luxury en-suite bathroom with beautiful mosaic tiled shower. 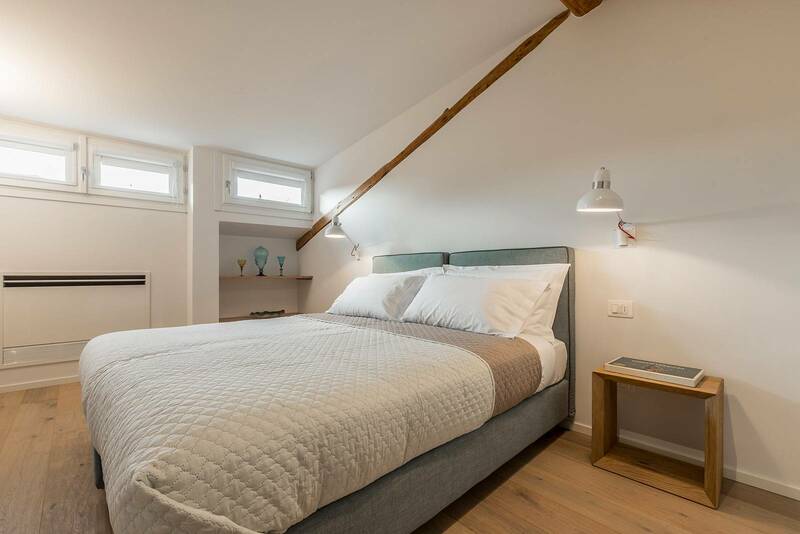 The second smaller bedroom, also with nice en-suite bathroom, can be prepared either as double or two single beds on request. 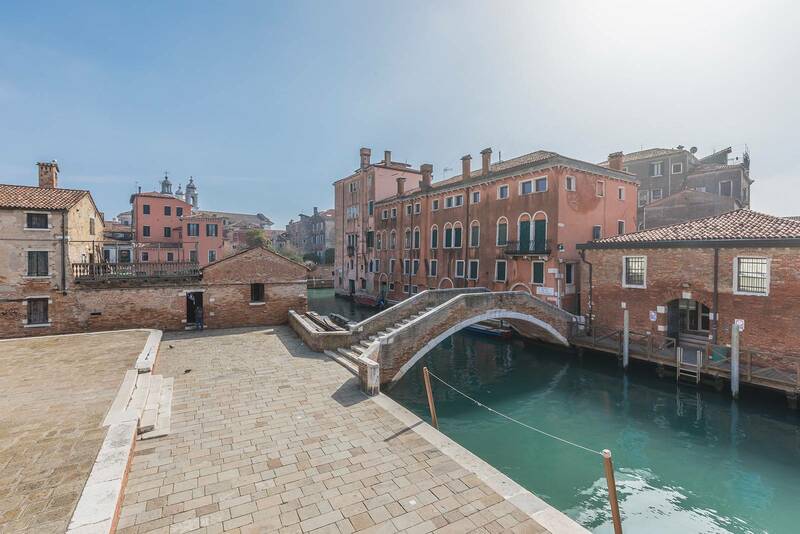 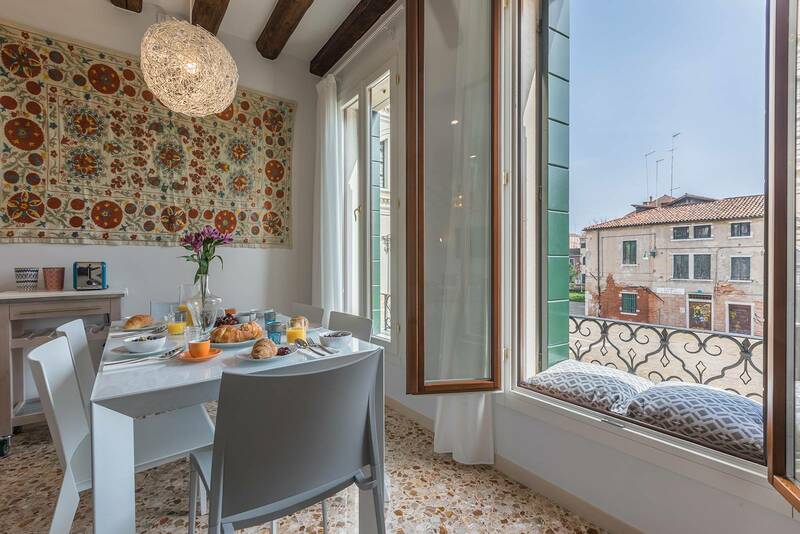 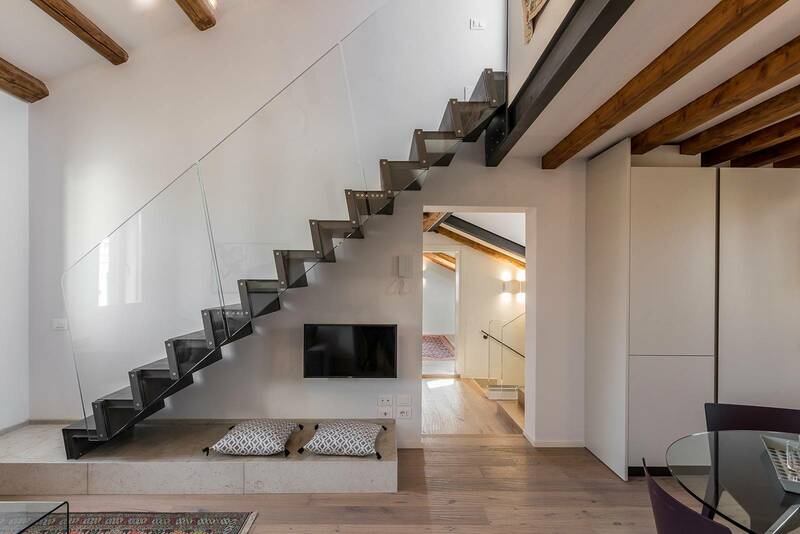 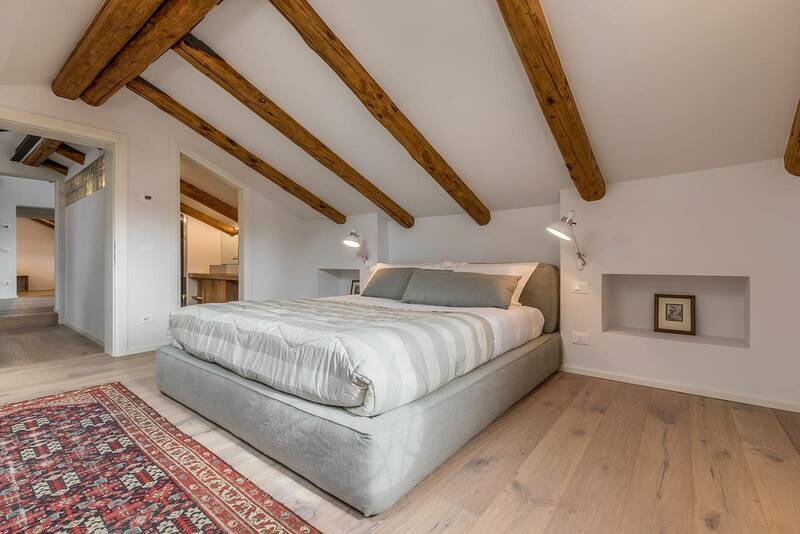 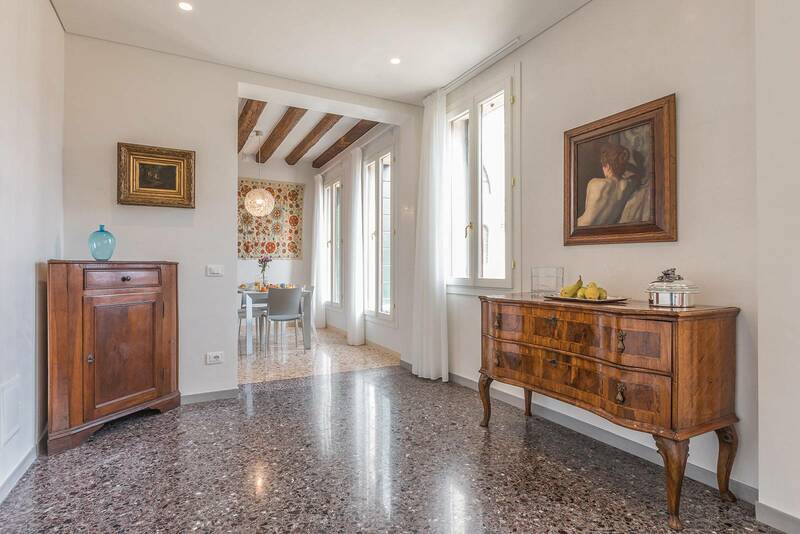 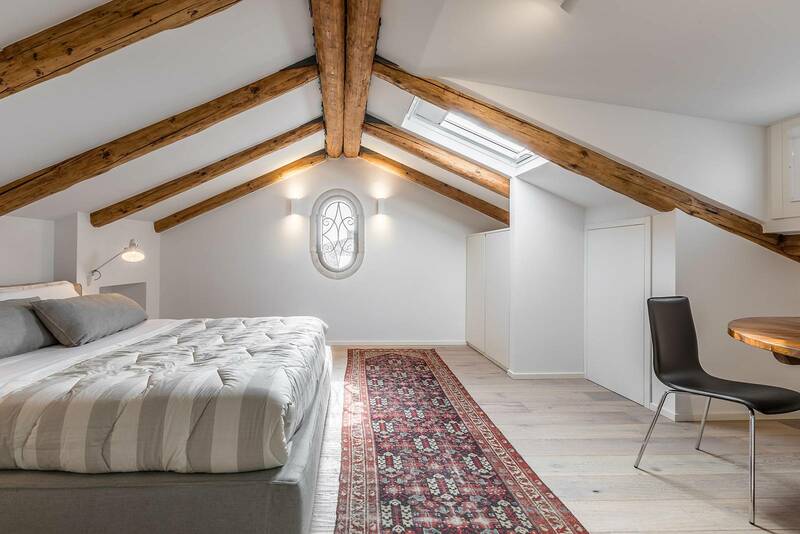 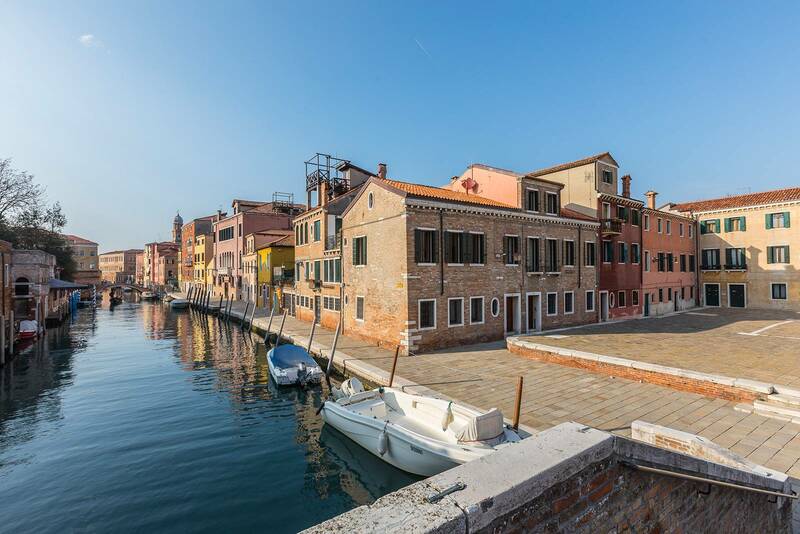 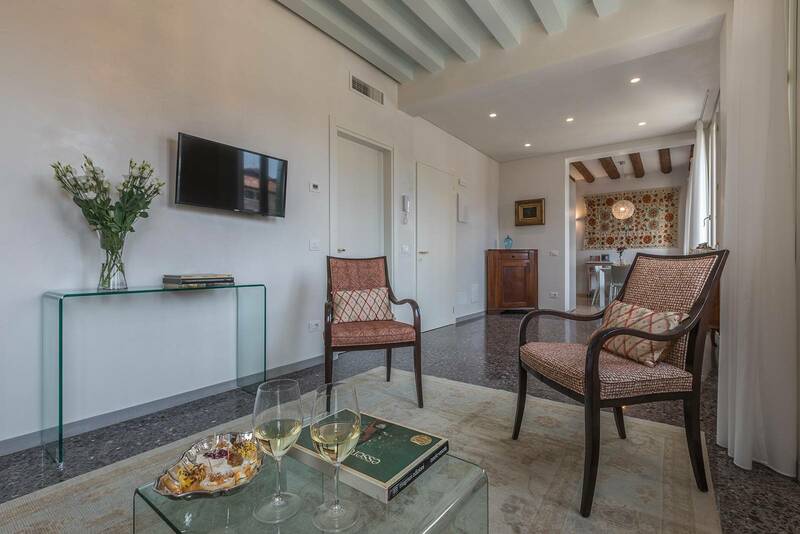 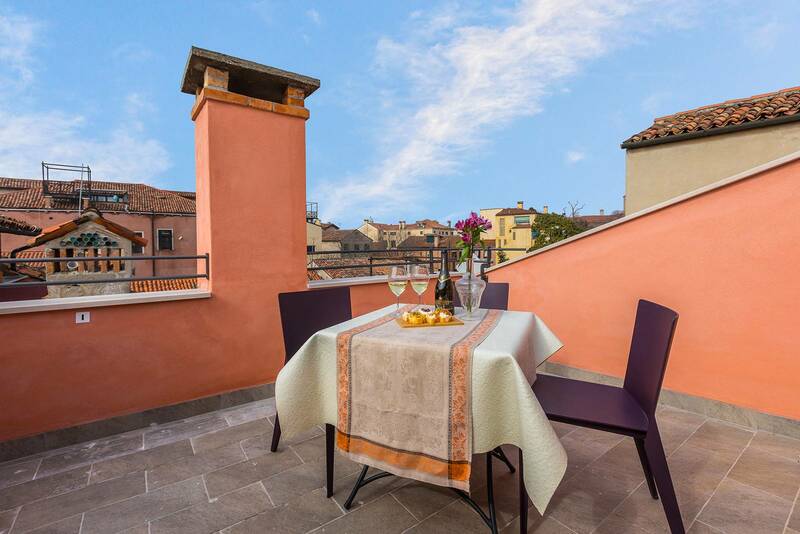 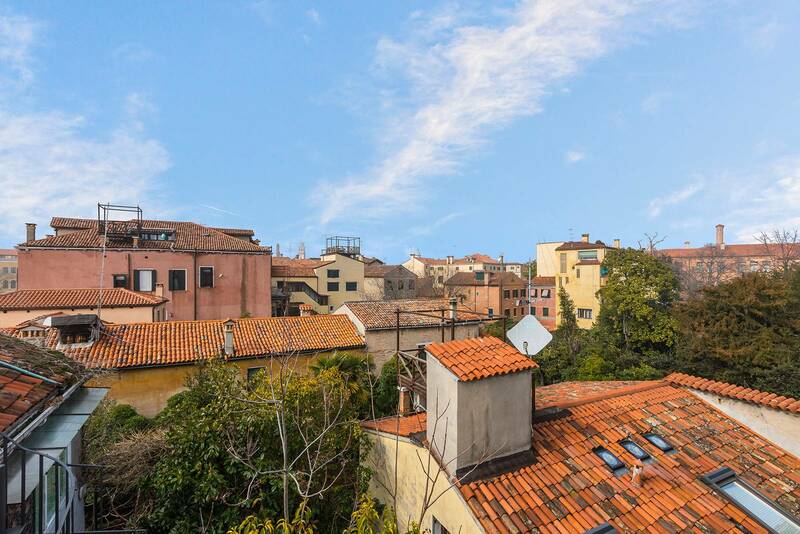 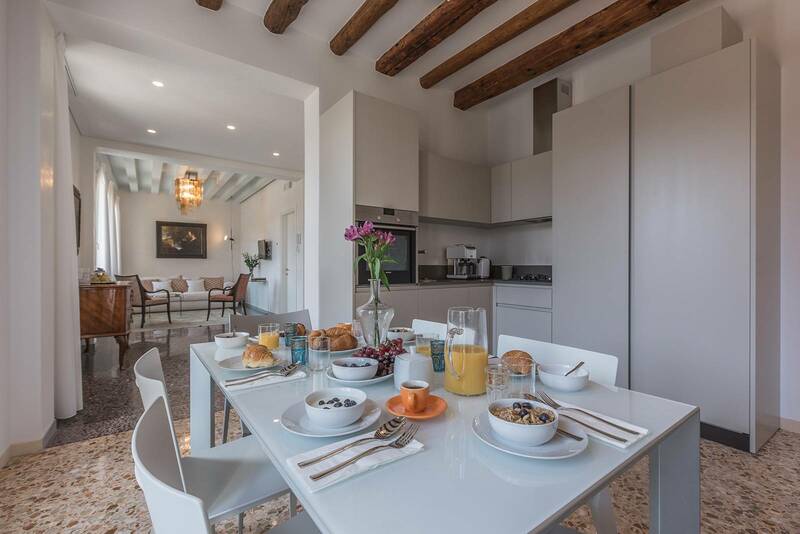 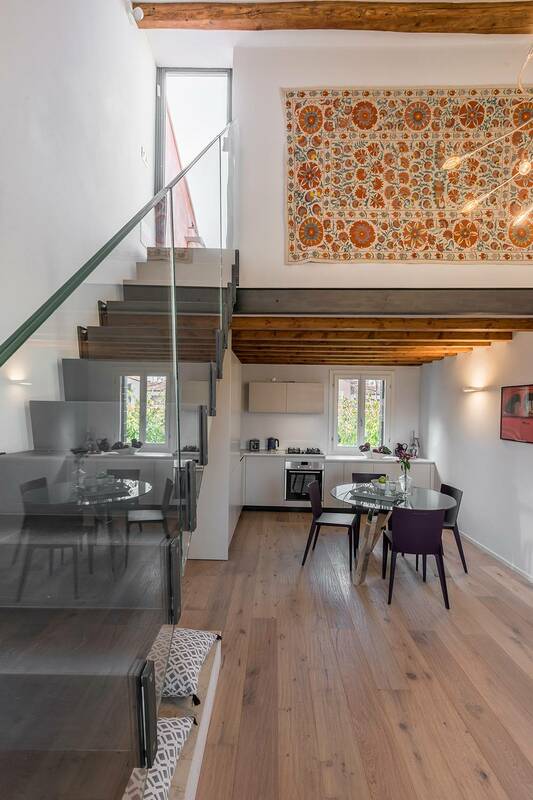 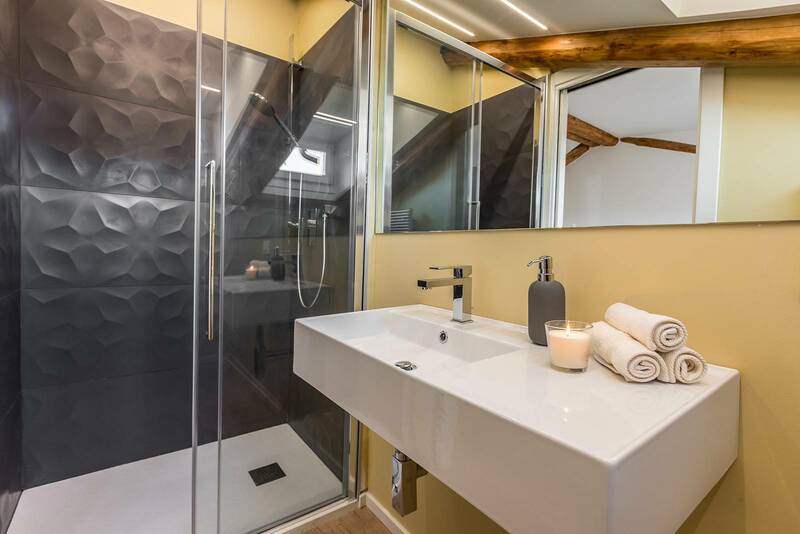 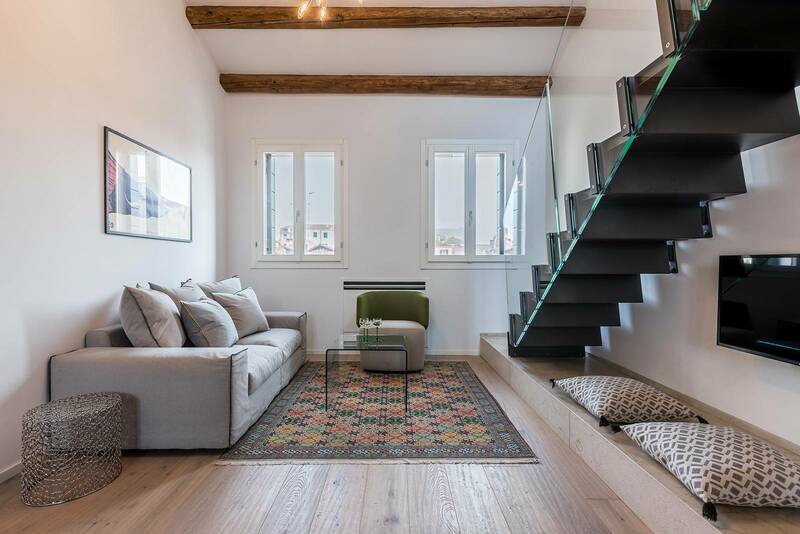 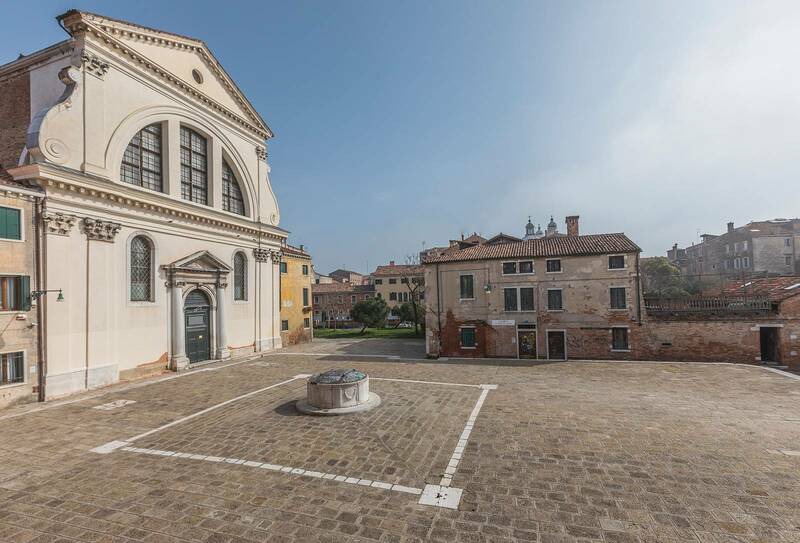 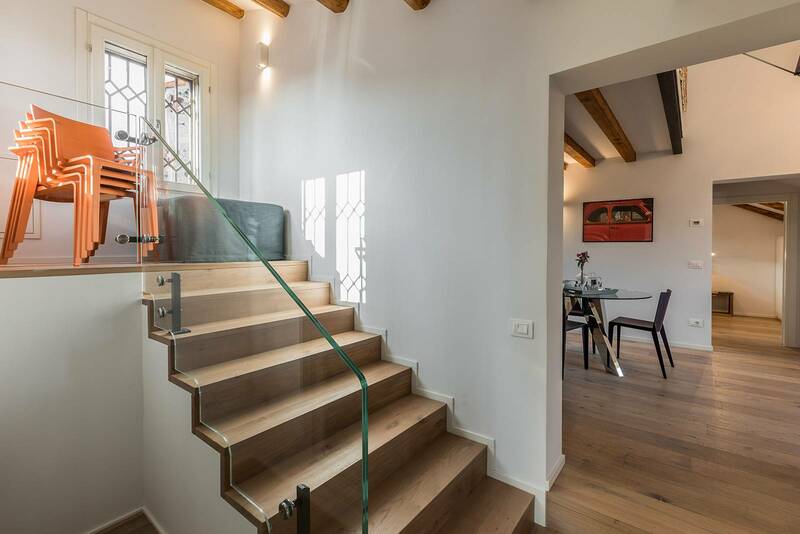 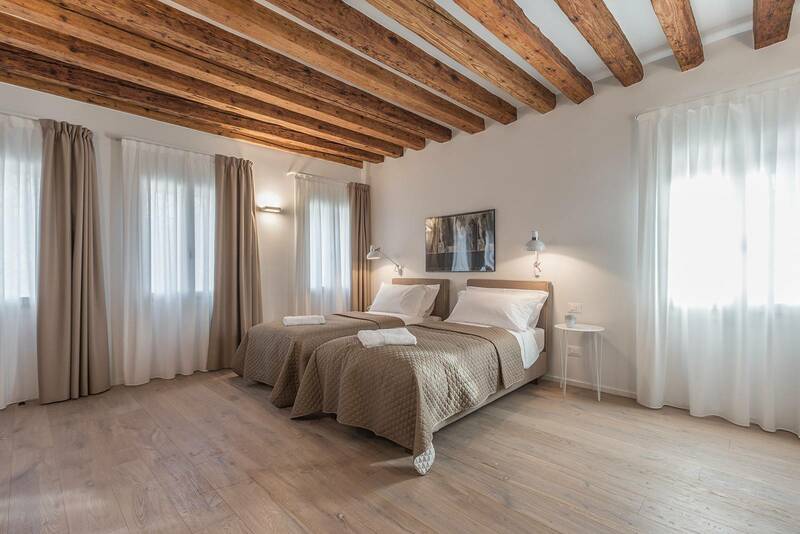 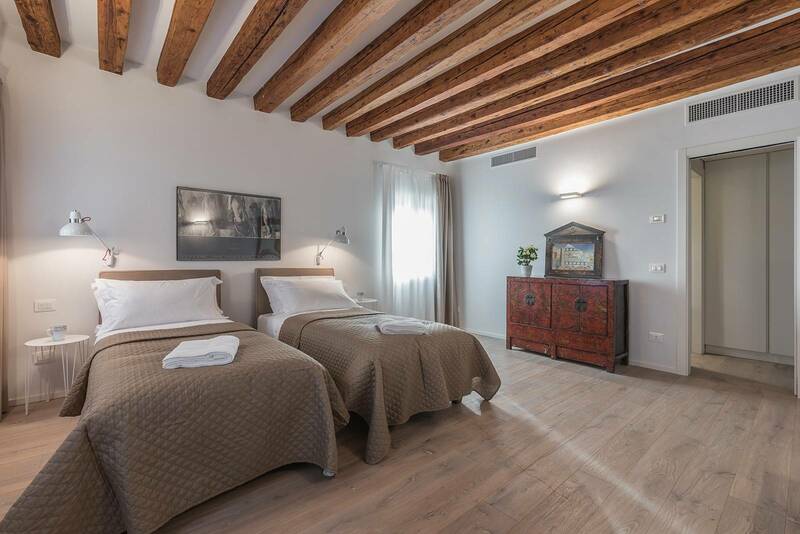 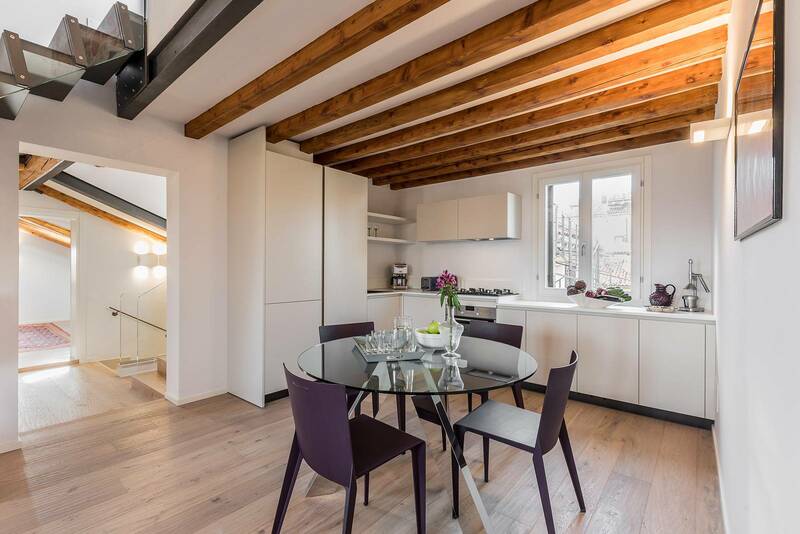 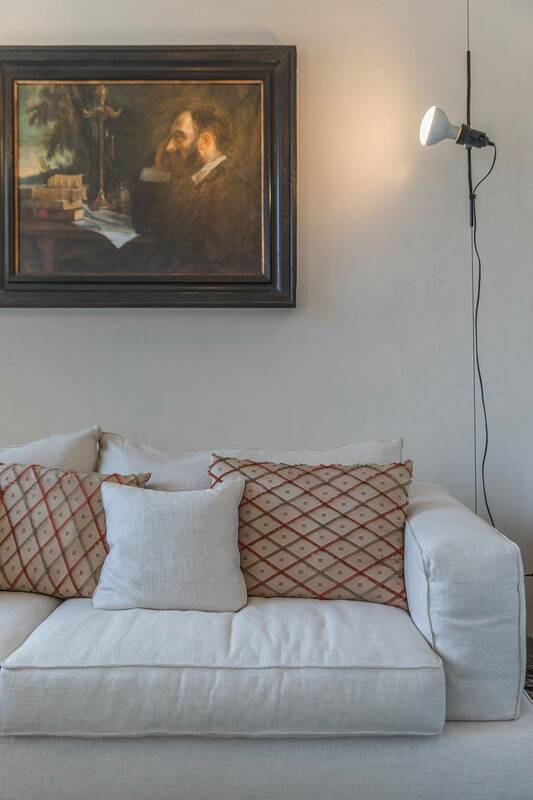 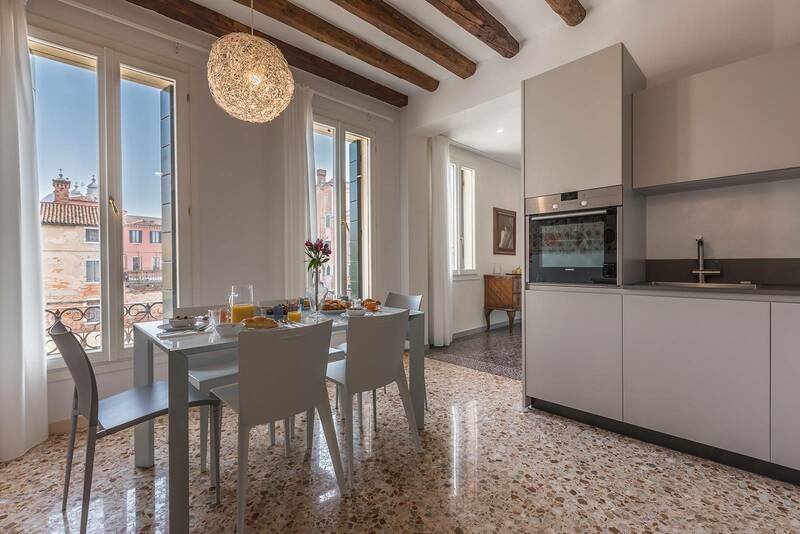 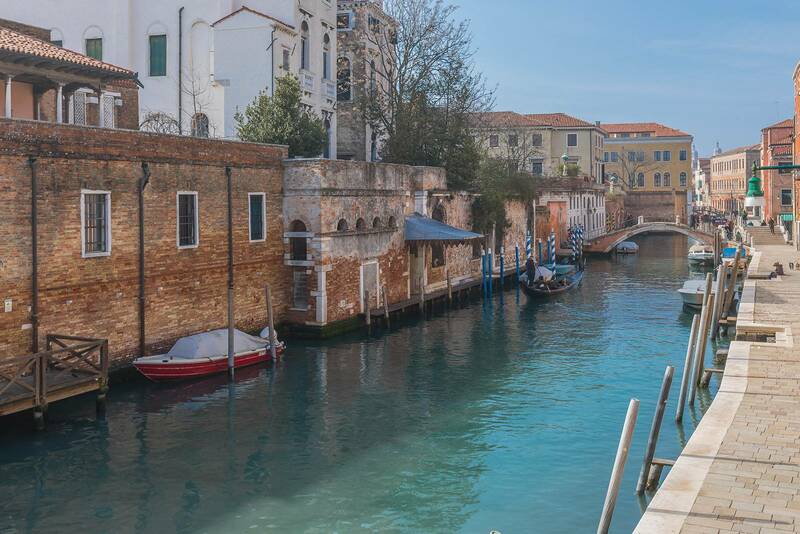 The highlight of this property in our opinion are the amazing views that can be enjoyed from almost every room on the Canal, the Church, the Square and the Squero di San Trovaso, the historic Gondola yard, known to be the last still active in Venice. 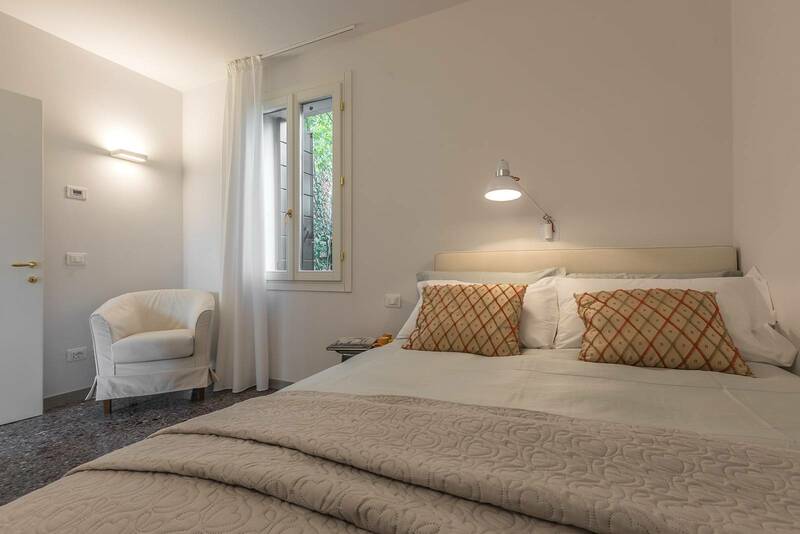 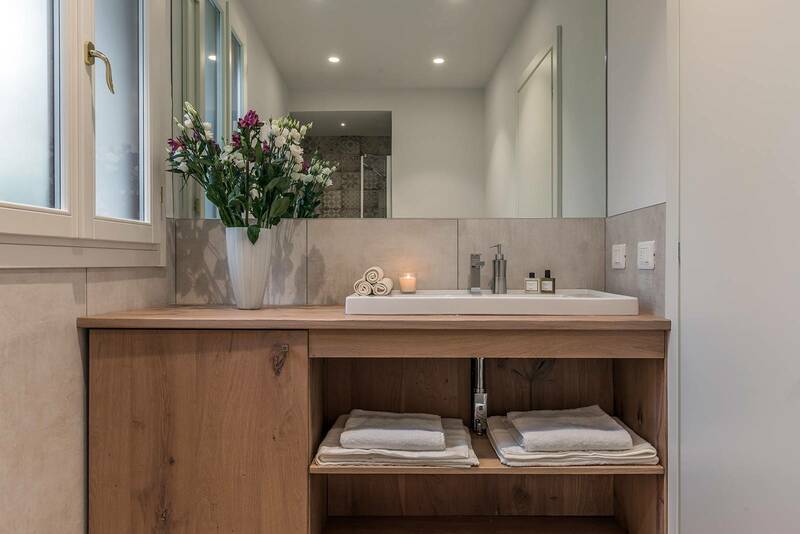 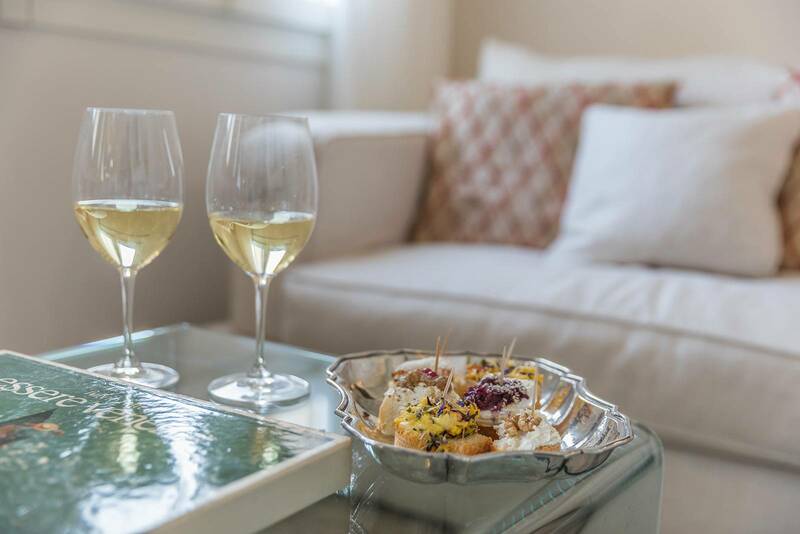 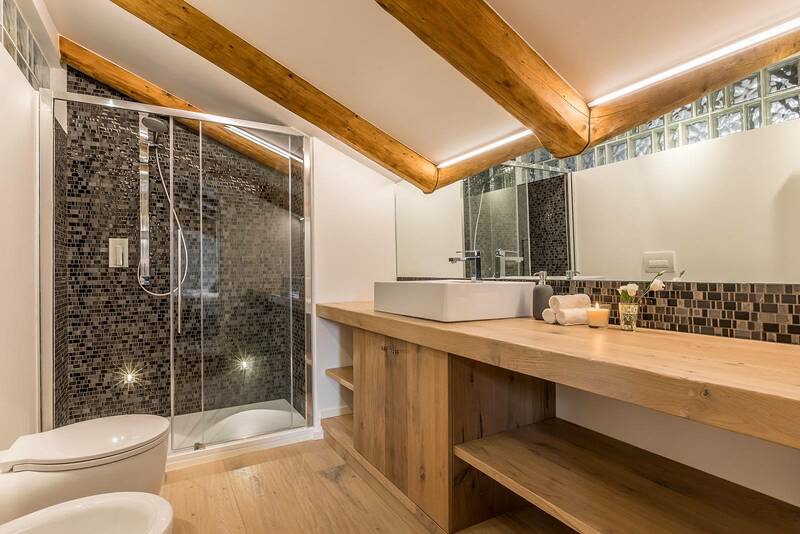 The amenities of this home include high quality bed linens and towels for each guest, air conditioning, Wi-Fi internet connection, smart TV, dishwasher, washing machine, oven, kettle, etc. 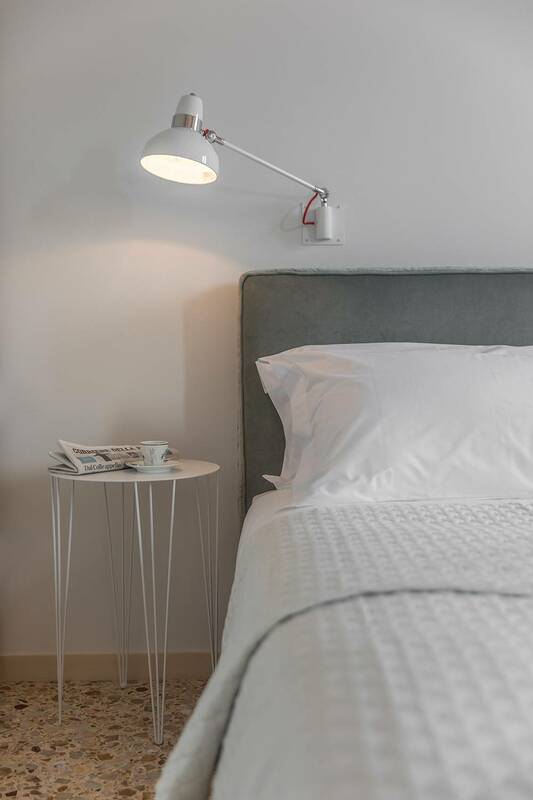 There is a Nespresso coffee maker at the apartment (some capsules are provided at check-in, extra capsules can be bought from us upon request).